December used to be one of those months I dreaded, the return of the cold, the least amount of light of the year, and the crazy commercialization of the season. But ART and sharing art has really changed that perspective for me. Staying centered and creative during this time really was key. 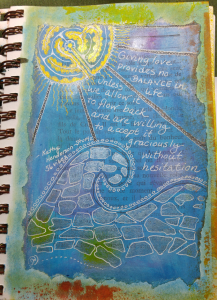 I use my art, especially at this time of year, for reflection and the end of the year has me thinking of renewal, that making anew, which gets reflected back in my journaling and art. When the darkness is getting me down, the colors and light and reflections from words and art bring me back out. How are YOU staying creative? What keeps you calm during this time of year? How are you practicing reflective work? What helps you celebrate? For celebration I’m looking forward to making all of our holiday gifts in the next couple of weeks, including some fun DIY up-cycled projects. We’ll share some of those next month! I’m really looking forward to the family fun and creativity we share in the kitchen during the holidays, and our festivities on Dec 24th – being the family of cooks that we are. And I’m also looking forward to more reflective and introspective time, and will be leading some labyrinth walks locally, and going forward through the winter. 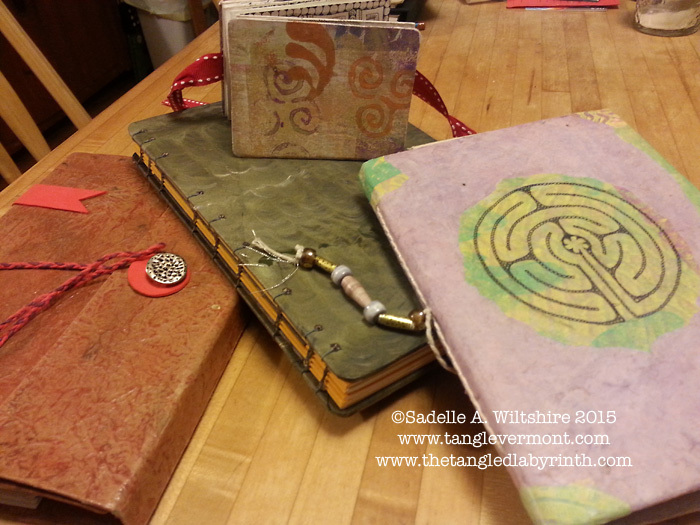 I also LOVE to make books, especially from flotsam and jetsam around the house, and more importantly, to JOURNAL in them, especially visual, or art journaling! For me this is an activity that inspires time and space for creativity and reflection. This month and going into next year will involve alot of art journaling including personal work, teaching locally and online! I’m jumping-through-the-roof excited to announce that I’m participating in a special online workshop starting today and running through 2016! If you’re not yet familiar with Kiala Givehand, you will be soon: she’s a talented art journaler, book maker and writer as well as a very clever creativity coach. 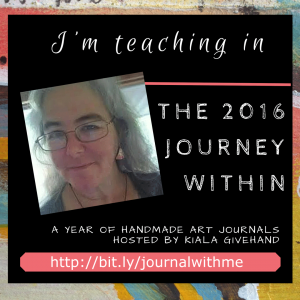 And for 2016 she’s offering a fantastical year-long online journaling and journal-making course, inspired by her previous Book-in-a-Day work called “The Journey Within: A Year of Handmade Art Journals“, and this time she’s invited 18 guest artists to share their art journaling process and techniques in the course…. including me! 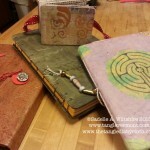 I’ll also be sharing a journaling prompt for the Journey Within Blog Hop on December 17th, so stay tuned for that too! DO check out the course – I’ll let you read Kiala’s description. 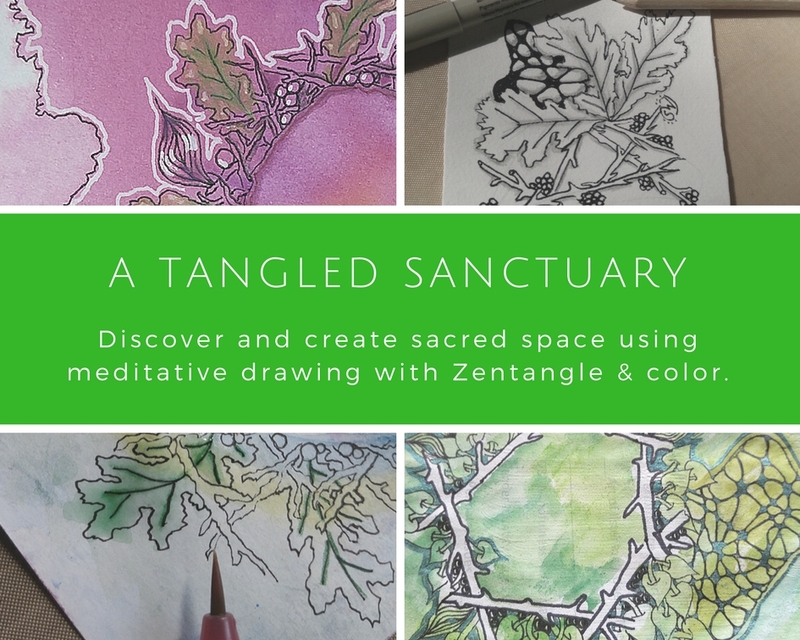 If you love art journaling or want to have a fun journal-making and visual-journaling for the year, what she’s got in store is really compelling! Join us for a fun year of journaling, challenges, bookmaking, videos and community HERE. I can’t wait! What a great way to celebrate, be creative, reflect and renew! 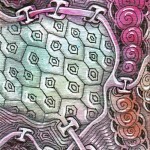 And a Labyrinth Art and Soul Retreat for spring! 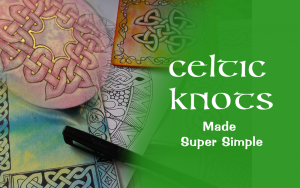 More workshops coming in spring and summer, maybe near you? 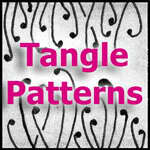 Subscribe to our newsletter to keep posted on changes and tangle clinics! Check out the schedule – we’d love to see you! 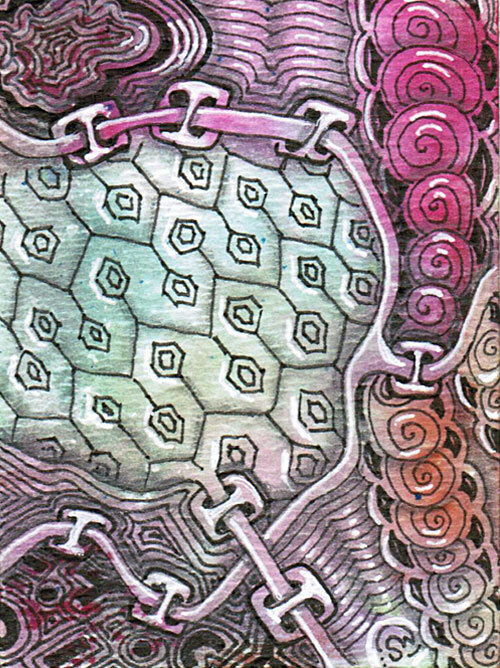 This entry was posted in Art Workshops, Book Arts, News, Workshops, Zentangle Inspired Art (ZIA), Zentangle® and tagged art journal, art journaling, book arts, book making, online class. Bookmark the permalink.